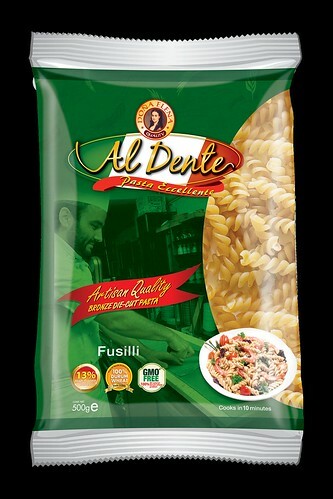 The campaign kicks off with the Doña Elena Al Dente Online Pasta Recipe Contest, which is open to all home cooks and pasta enthusiasts. 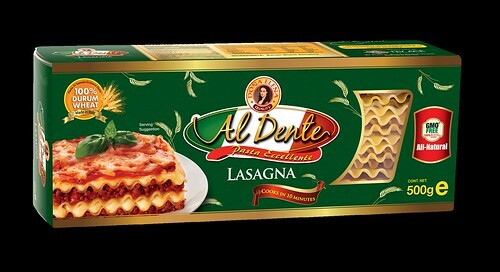 The mechanics are simple – upload a photo of your pasta dish with your original or favorite recipe made using Doña Elena Al Dente Pasta to Instagram and tag @DonaElenaCuisineraClub with the hashtag #AlDentePastaMonth. 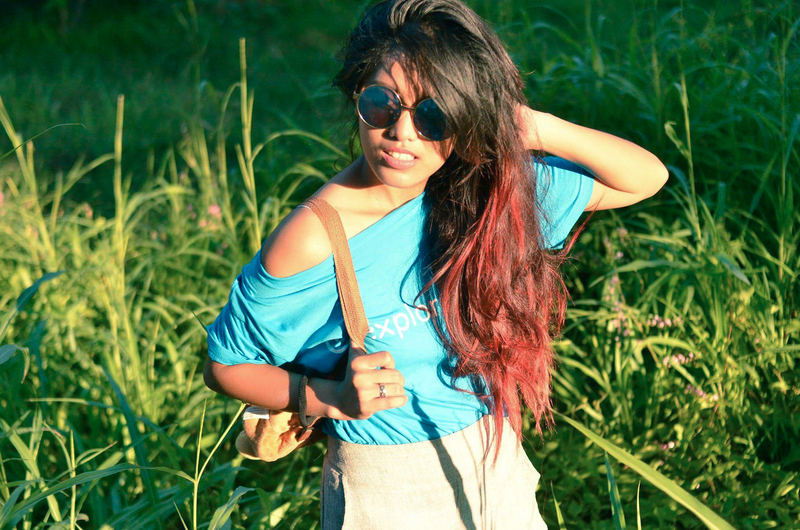 Don’t have Instagram? 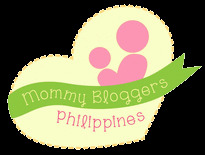 You can also upload your entries to www.AlDentePastaMonth.com. Each entry will be reviewed for a chance to be part of the finals where the top five will have to cook their dish in front of a live audience at the upcoming Doña Elena Al Dente Pasta Festa. Deadline for submission of entries is on September 30, 2015. 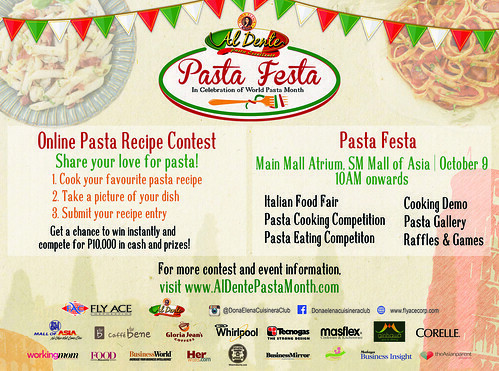 For more contest details, you can log on to www.aldentepastamonth.com. 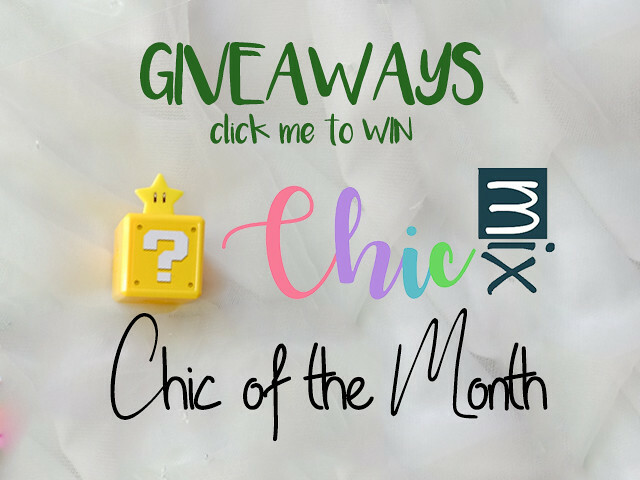 No need to wait! 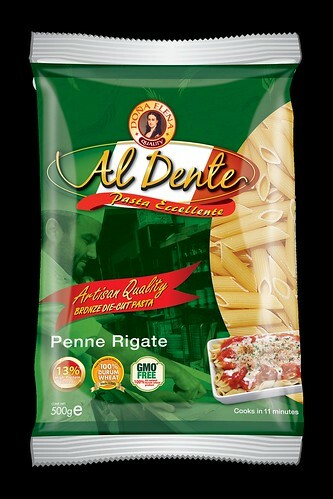 It’s time to say…Al Dente! The Doña Elena Pasta Fiesta - World Pasta Month Celebration is in cooperation with media partners Food Magazine, Working Mom Magazine, WhenInManila.com, theAsianparent.com, Business Mirror, Malaya Business Insight, Business World, HerWord and Mommy Bloggers Philippines; and partners Masflex, Whirlpool, Tecnogas, Corelle, Ginhawa Spa and Dining, Caffe Bene and Gloria Jeans Coffee.